Help Center - How do I see what plan I am subscribed to? 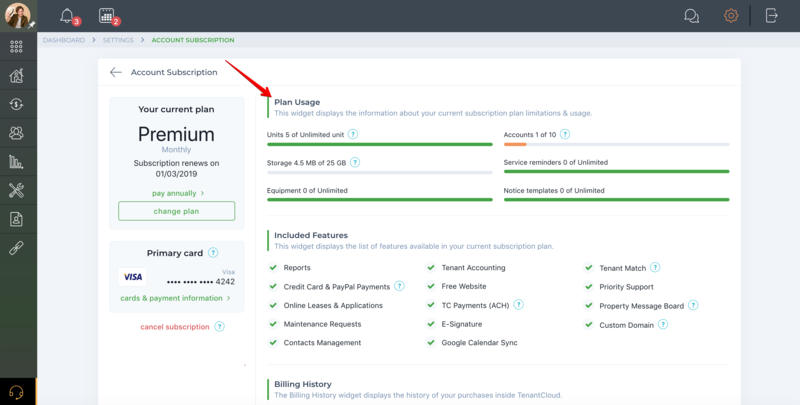 You can take a look at your current plan limitations & usage and included features. 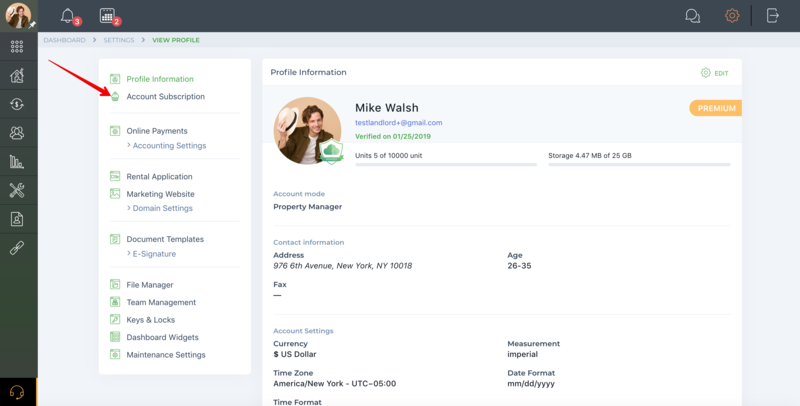 You can also view your latest billing history, as well as information about your primary credit/debit card that is automatically charged for subscription payments. The "Primary Card" widget displays the information about your primary credit/debit card that is auto-filled on the checkout forms across your account. Click on the “Cards & Payment Information” link if you would like to make another card a primary payment method, view your saved cards, edit, or remove a card. The "Billing History" widget displays the five most recent purchases made within TenantCloud, including subscription payments. If you would like to view your entire billing history, click on the "View billing history" link at the bottom of the widget.